Grain Surfboards are shapers of stunning wooden surfboards designed for the modern surfer, with a 3D design process informed by the DotProduct DPI-8X SR handheld 3D scanner. 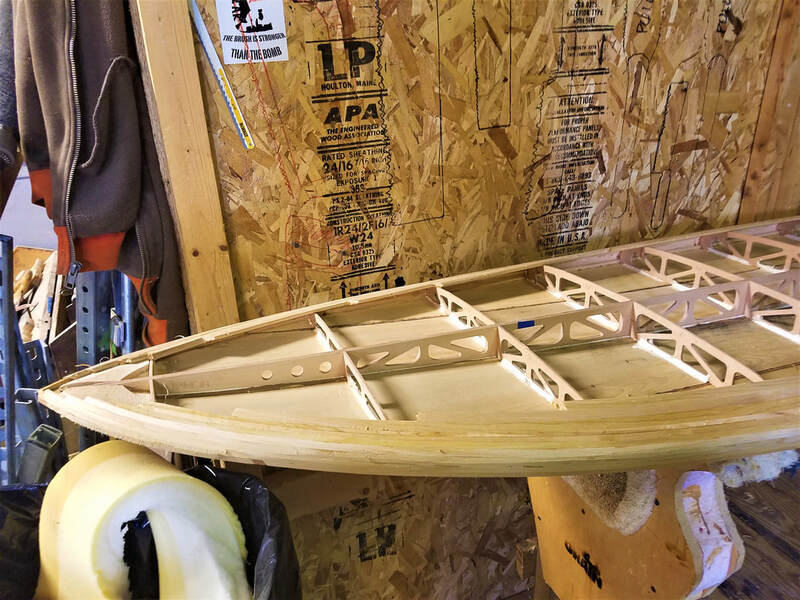 Grain often collaborates with shapers of foam boards to offer their designs in Grain’s signature wooden construction method, and found they needed a reliable workflow to 3D capture the precise shape of existing boards to inform their inspired wooden designs. 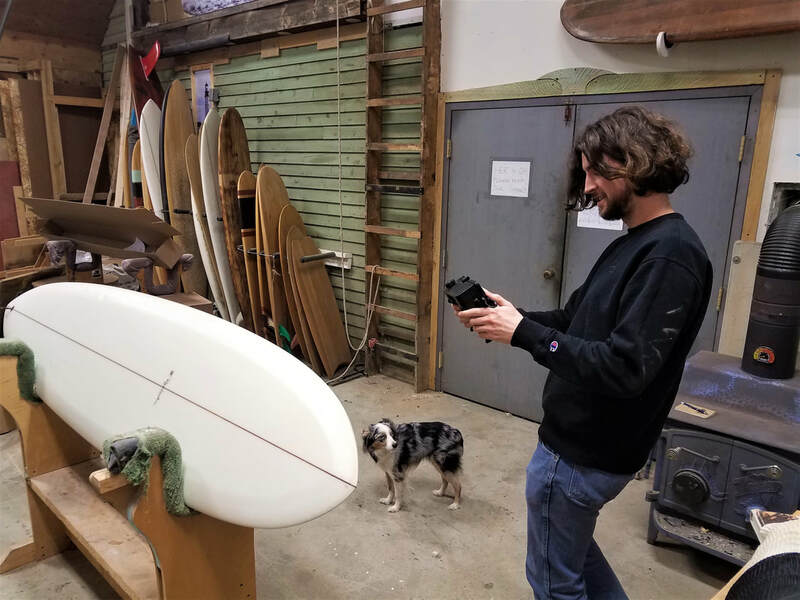 Many of Grain’s earliest boards were designed using nothing more than a strong memory of a favorite shape and some crude hand-drawn sketches. 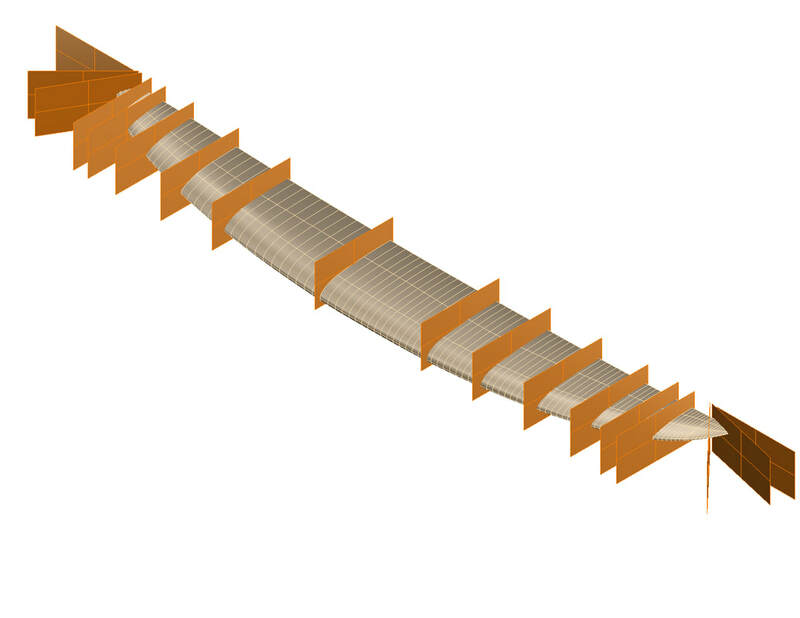 In this case, the transition from physical to digital design was a very time consuming and challenging process. Extensive pre-planning is required to recreate the details of existing designs, and Grain soon began to look to modern technologies for assistance. With the DotProduct DPI-8X SR, Grain has resolved these challenges and created an accurate and repeatable workflow for capturing the 3D details crucial to each board. 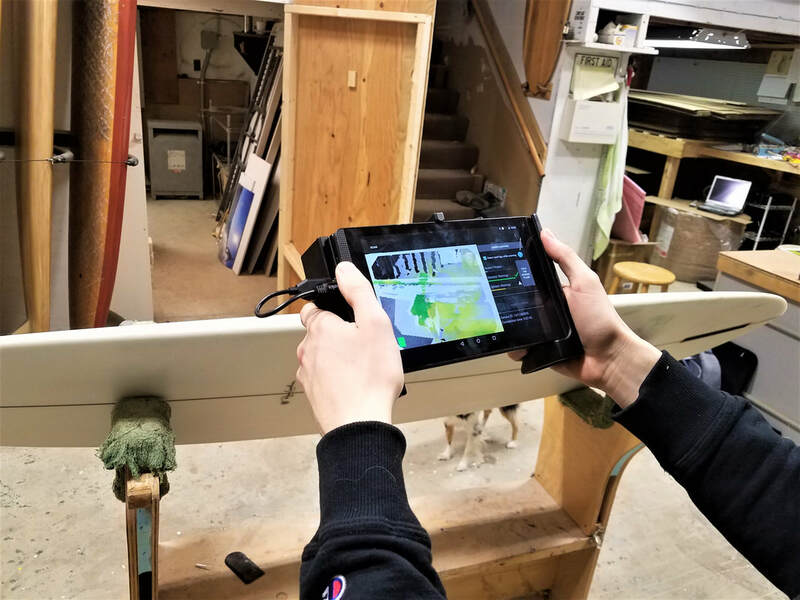 Handheld scanning allows for full freedom of motion to walk around the board in its entirety and produce a single compressed 3D file. 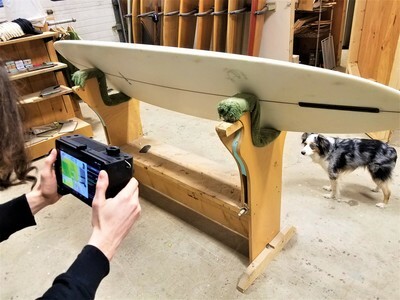 .DotProduct DPI-8X SR scanning a surfboard. 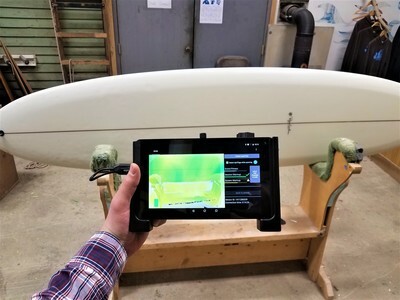 To perfect the process, Grain designed a stand which exposes the whole surfboard for scanning and assists with tracking from stem to stern. 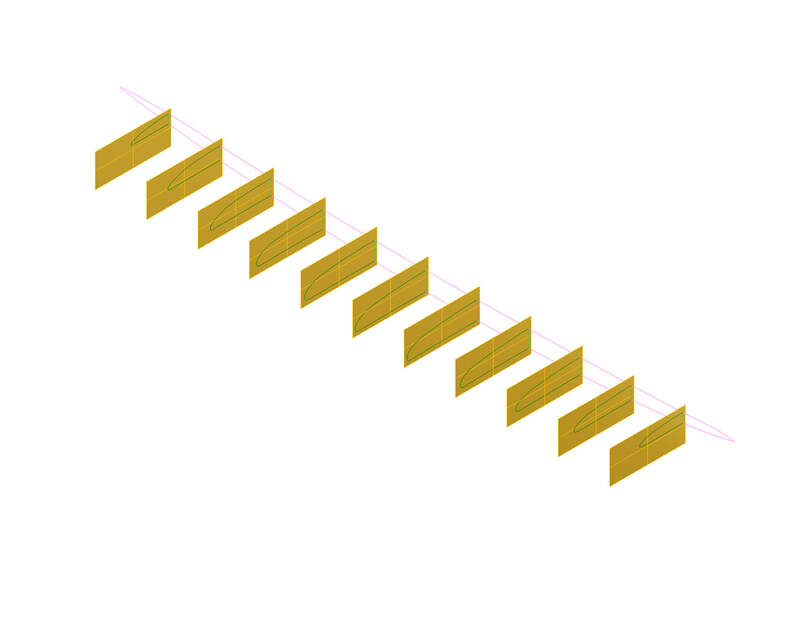 The scanning area is also equipped with AprilTags and scale bar targets to help produce the most accurate and consistent results. 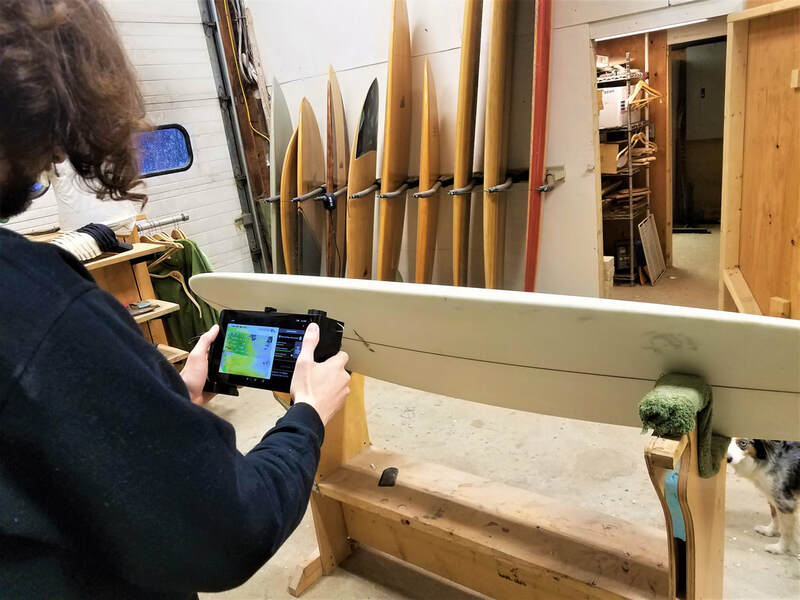 ​“We don't have the luxury of starting with a big piece of foam, so the DPI-8X SR and other technologies become very important to design and production processes." After scanning, the next step is to export the binary DotProduct data into CloudCompare, a powerful, open-source tool where Grain refines the point cloud data before moving on to Rhino for 3D modeling. 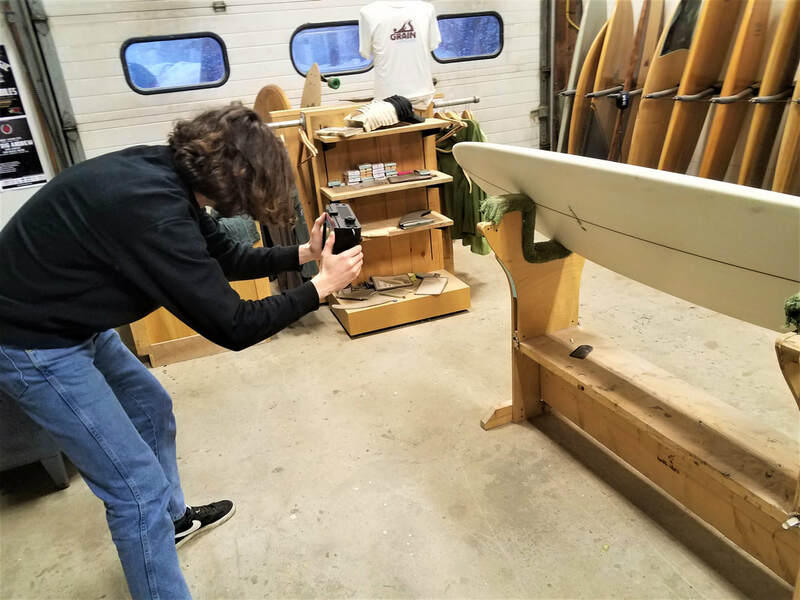 Grain Surfboards’ Ascher Booth capturing a board. 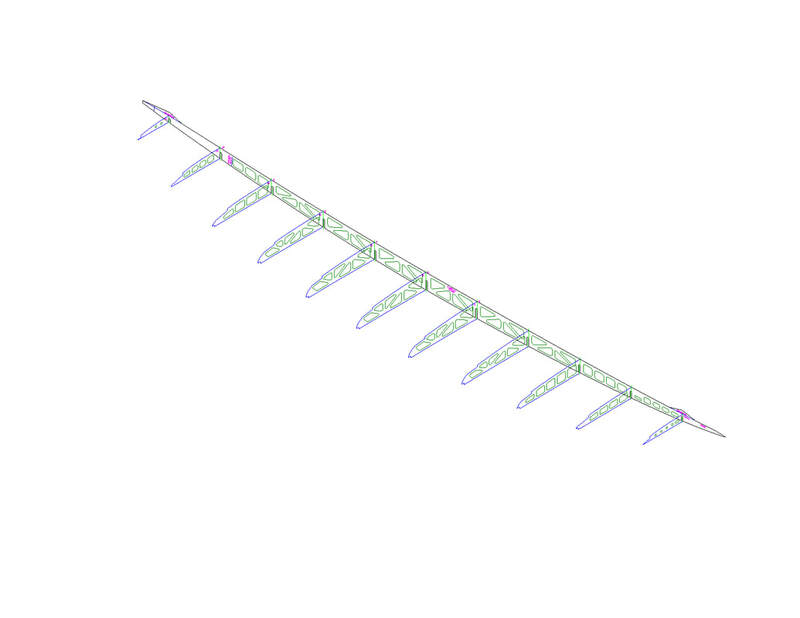 The meshed data is converted to a NURBS surface within Rhino 5. 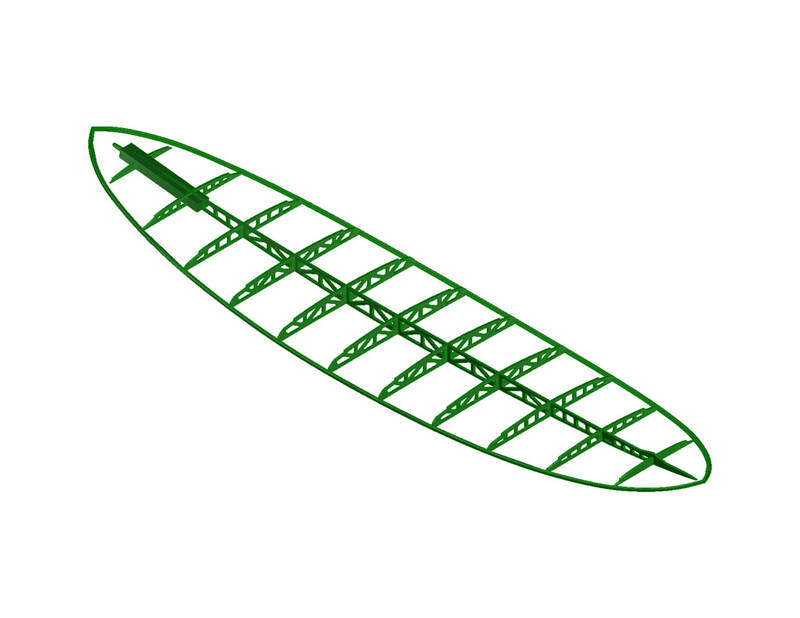 This NURBS surface model then informs the design of the new wooden Grain surfboard. Grain’s Ascher Booth says “Rhino’s flexibility, wide range of plug-ins and cross-disciplinary ubiquity” were some of the main reasons why the company settled on this solution for 3D modeling. 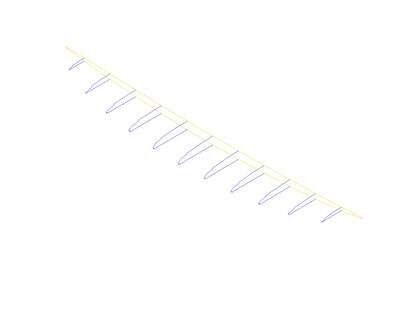 The Grasshopper plugin for Rhino is also utilized during the design process. 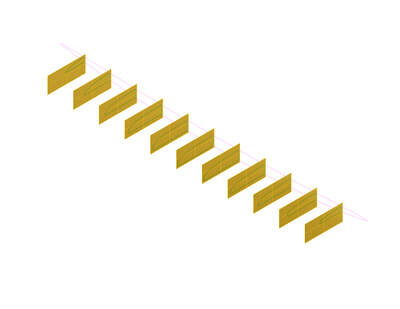 Before considering the DPI-8X SR, Grain looked at a wide variety of alternative solutions. They tried everything from photogrammetry to both lower- and higher-cost 3D scanners. 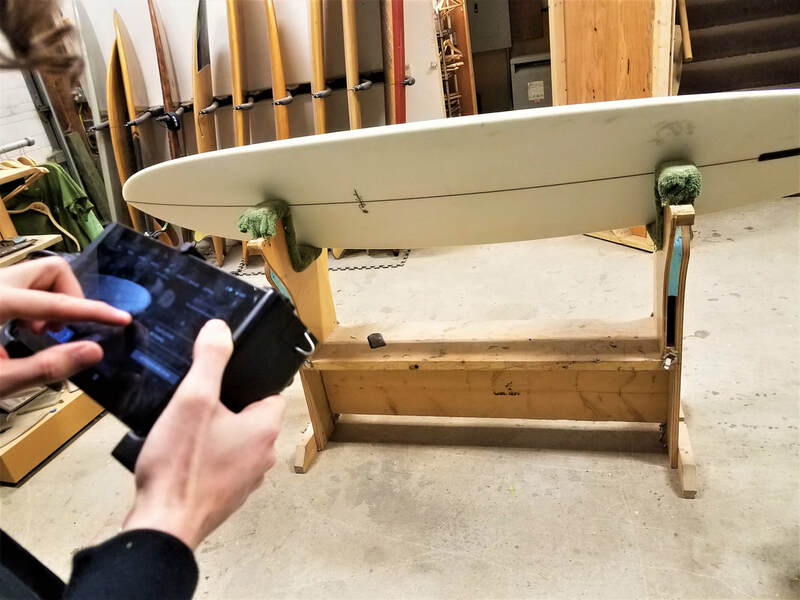 The conclusion was that nothing quite compared to the speed, form factor, repeatability, and accuracy of the DPI-8X SR.
During the scanning process, Grain often finds that the boards they are working with differ from the specs provided by the original shaper. By working with precise 3D scan data, Grain is able to accurately understand the best qualities of each board and properly inform the design of their new wooden surfboards. 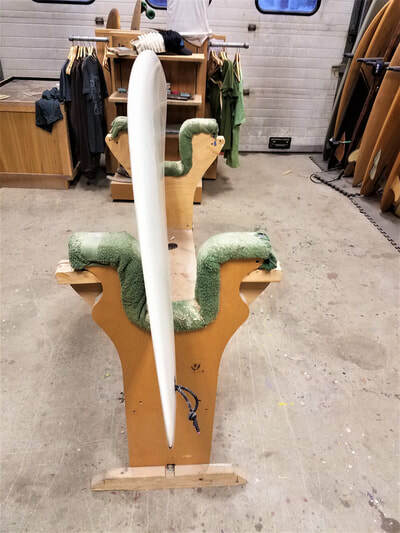 With a background in boatbuilding and woodworking, Grain Surfboards have been perfecting the art of wooden surfboard design for the past 13 years. 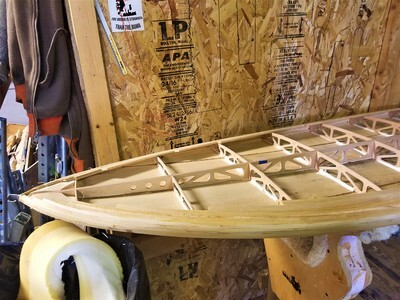 By combining the principles of boatbuilding with those of modern board design, Grain produces beautiful wooden boards that still stand up to today’s standards of modern materials, design, and shaping methods. 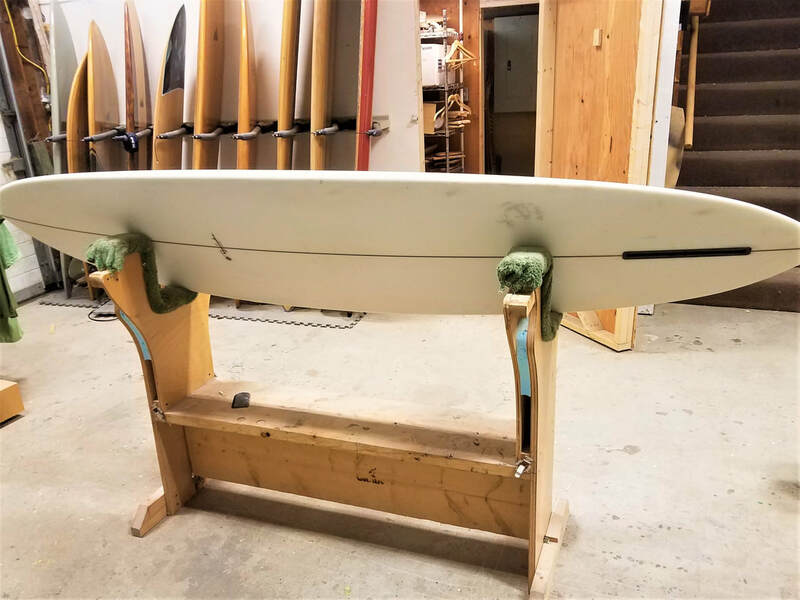 Grain Surfboards is based out of York, Maine and Amagansett, NY. For more info, please visit: grainsurfboards.com & youtu.be/bmtqKO8Un6o. 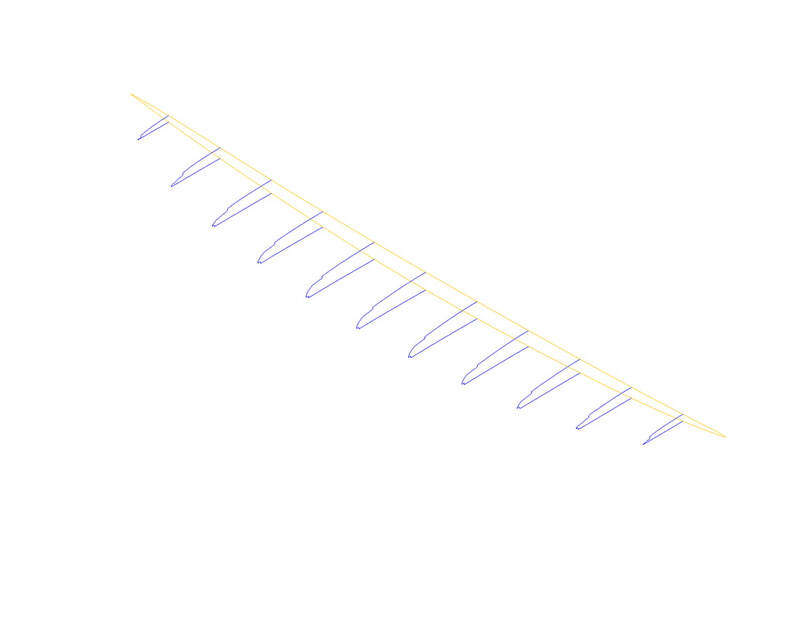 Stages of the Grain Surfboards design process using the DotProduct DPI-8X SR and Rhino. Grain Surfboards is committed to promoting the benefits of building and surfing wooden surfboards and believes that wooden surfboards can have more impact on the surfing experience and less impact on the environment. 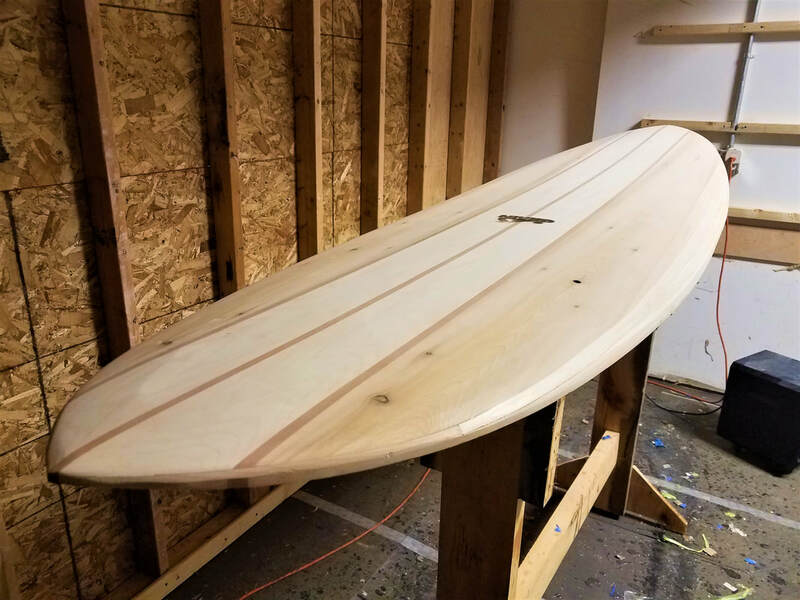 All of the wood products used in Grain surfboards and kits are sourced from local mills and forestlands in Maine that practice sustainable harvesting. All wood waste from the production of Grain's boards and kits is actively reduced and creatively recycled. Grain ships surfboards and complete surfboard kits worldwide and hosts workshops in which anyone can learn to handcraft their own wood surfboard. Maintaining personal connections with their customers has kept workshops a very personal experience for both instructors and students as is evidenced by the intentional eschewing of certifications or any "professional" training focus in their offerings as well as the frequency of returning students and a steady flow of unsolicited warm testimonials. Grain is co-owned and managed by Mike LaVecchia and Brad Anderson. For more information, please visit grainsurfboards.com.